We consider variants of Successive Quadratic Programming (SQP) applied to Simultaneous Analysis and Design (SAND)implementations for existing engineering modeling systems. Such programs include large scale PDE solvers, chemical process simulators and programs for electrical circuit analysis. Several aspects of the SQP algorithm will be considered. In particular, options need to be selected that are compatible with the information available from the modeling system. 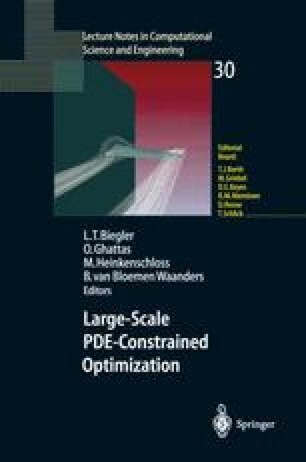 Here the following three areas are considered for SAND optimization algorithms: efficient and reliable strategies for global convergence based on a newly developed filter line search method, improved second order information for reduced Hessian methods, and a barrier approach for inequality constraints. The benefits of each of these options will be supported by numerical results and the relevance of these options to PDE models will be explored.